Chinese New Year holiday design. Stock Illustration: Chinese New Year holiday design. Chinese New Year holiday design. 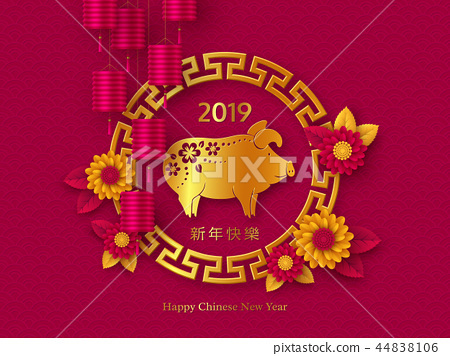 2019 Zodiac sign with golden pig, frame, flowers and lanterns. Pink traditional background. Chinese translation Happy New Year. Vector illustration.